WHAT ARE MY DOCK OPTIONS? Bulldog Marine is dedicated to designing a waterfront experience that allows you to compliment your home while accentuating the beauty of Lake Oconee. Traditional wood docks are available as well as low maintenance AZEK composite and can be built to accommodate multiple boats and as well as personal watercraft while adhering to Georgia Power and county requirements. AZEK Deck is the #1 brand in stain resistant decking. 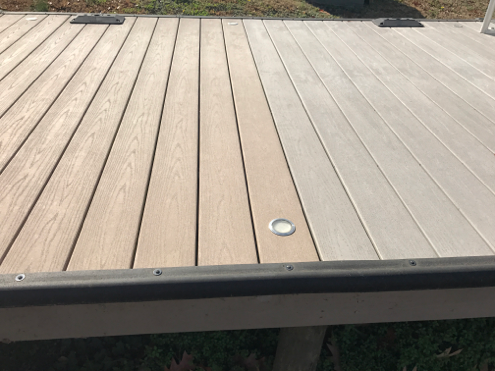 The product limits many of the shortfalls of wood decking by being stain and scratch resistant, durable and long lasting.